Giant red or pink flowers mark the garden containing the hibiscus plant. These plants can bloom from late spring until the first frost, and the stems of these perennials will die into the ground every year. 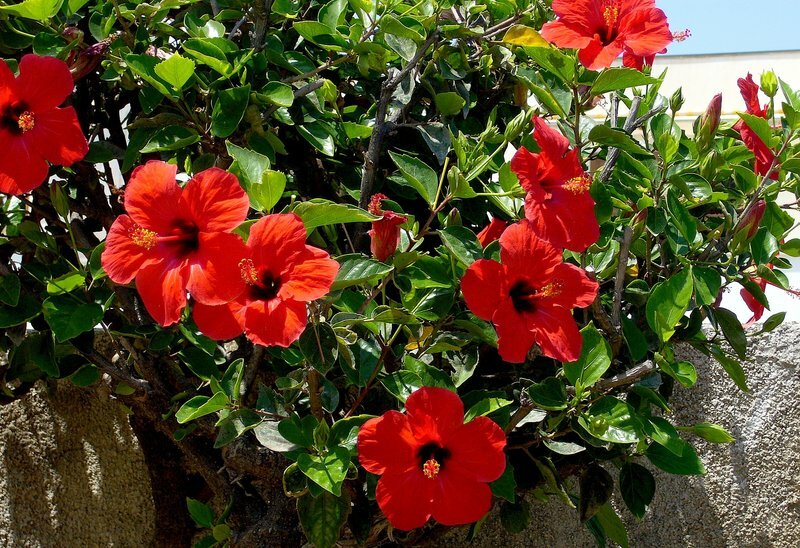 The hibiscus genus of plants is large, containing hundreds of species, so you should have no problem matching a plant to your garden or home. The hibiscus is the national flower of South Korea, Haiti, and Malaysia, as well as being the flower of Kali, the Hindu goddess. It is also a traditional flower worn by girls from Tahiti and Hawaii. In a garden, hibiscus can be grown as landscape shrubs and will attract hummingbirds, butterflies and bees. Indoors, the hibiscus can be grown in a container that is a slightly cosy fit. The plants can be moved to ideal locations, giving them some direct sunlight, ensuring they have excellent drainage to help grow the large blooms. If you prune the plants while they are small, you will see more blooms as it matures within a few months. 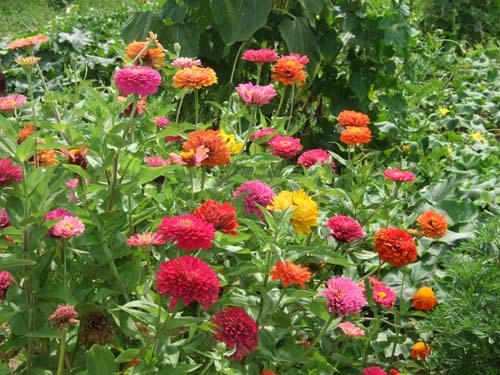 If you’re looking for something easy, and want to get loads of bouquets, the zinnia is for you. You can get more than enough for inside your home, and have lots left over to fill your garden or border your walking path for your house. 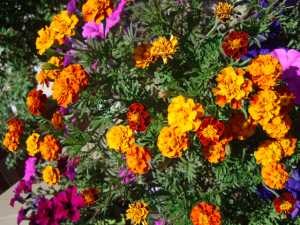 On top of providing a lot of blooms, these annuals can keep on blooming on into fall, giving your house a nice long supply of blooms, and keeping things looking fresh all summer. They can take 60 to 70 days to grow into a bloom from a seed, and will attract butterflies to your garden. Marigolds are an easy flower to grow in your garden, and they can provide a long-lasting decoration inside your house when cut. The flower can provide bright blooms all summer long and into the fall. There are fifty species of marigolds and they have large variety and some provide excellent scents. Who doesn’t like a sunflower? These flowers are instantly recognizable to anyone looking at a garden, and kids love them too. These tall annuals usually grow anywhere from 20” to a whopping 154”. And the bright yellow flower heads can make anyone smile. The best part about sunflowers is that they are easy to grow. You basically just stick a seed in the ground and watch it grow. 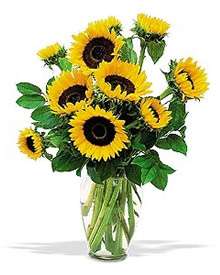 Using sunflowers for indoor arrangements can bring excellent, bright colour to your home. 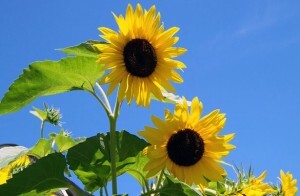 Sunflowers should be cut as the petals begin to open, and before they completely unfurl. There are lots of ways to enjoy the summer, and using your garden plants to create a summer-like atmosphere in your house can help bring some of the great weather indoors. Using some of the tips above, you can keep your flower arrangements looking fresh for a longer time, and get the most out of them.